Black River Harbor's beach is one of our favorite Lake Superior Rock Hound beach. 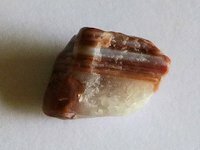 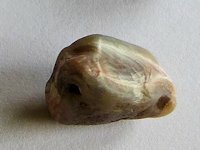 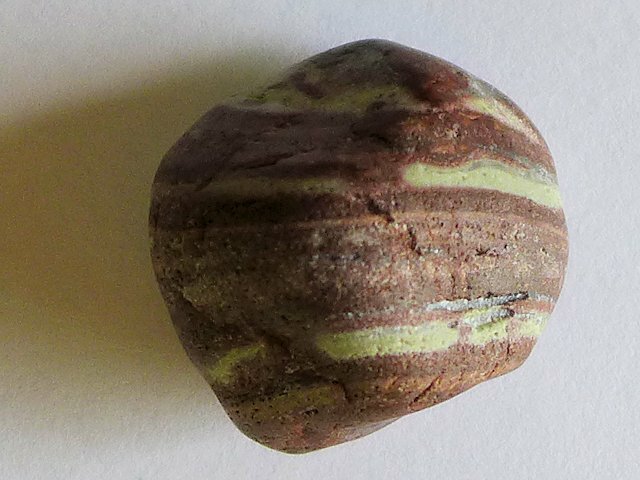 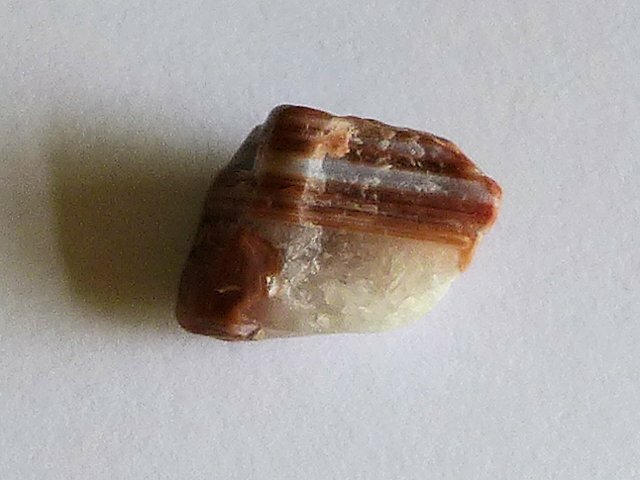 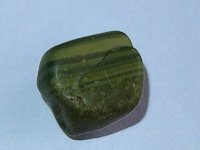 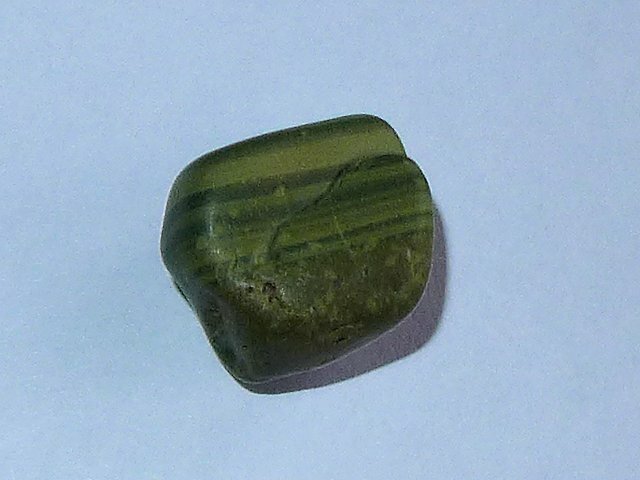 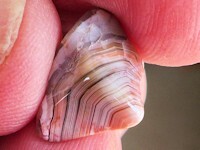 Lots of interesting rocks that make attractive gemstones for tumbling and there are a few agates to be found here as well. 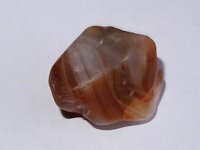 In fact this is where I found my first agate. 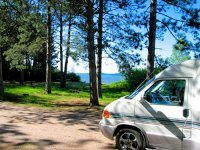 The Scenic Rec Area also has a nicely laid out USDA Forest Service campground with sites suitable for RVs and Tents. 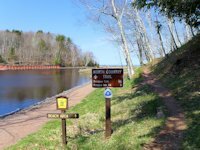 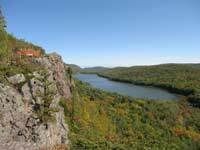 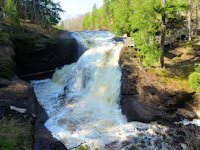 Other attractions include hiking trails and five attractive waterfalls along the Black River National Scenic River. See some waterfall pictures and learn more about Black River Harbor camping and recreational attractions here. 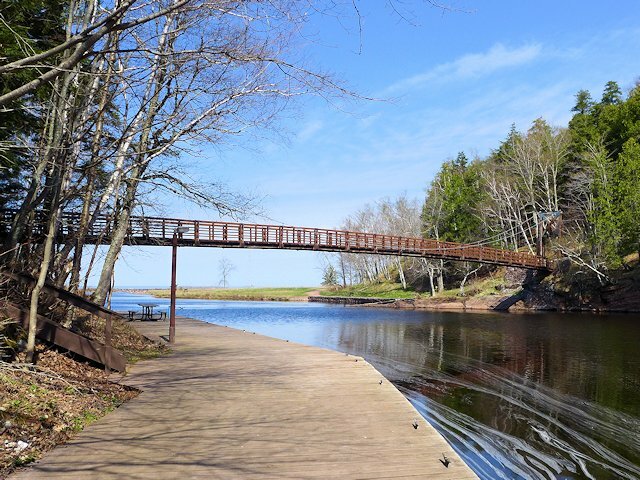 You park at the picnic area parking lot and cross the river to the beach via the historic suspension bridge. 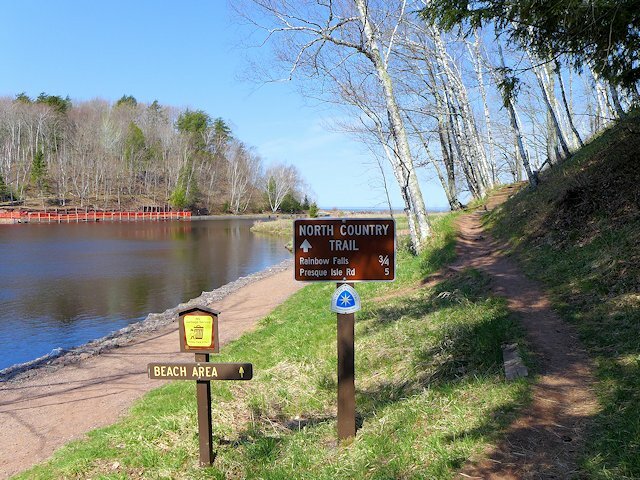 The North Country Trail runs adjacent to the river and crosses the suspension bridge near the mouth of the river. 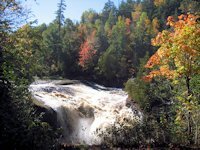 The trail goes by the eastern side of Rainbow Falls before turning east towards Porcupine Mountains State Park. 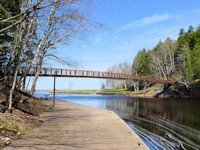 Our spring rock hound trip was made the Monday following the 2018 Mother's Day weekend. 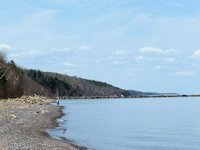 Some snow was still piled along the beach against the hillside. 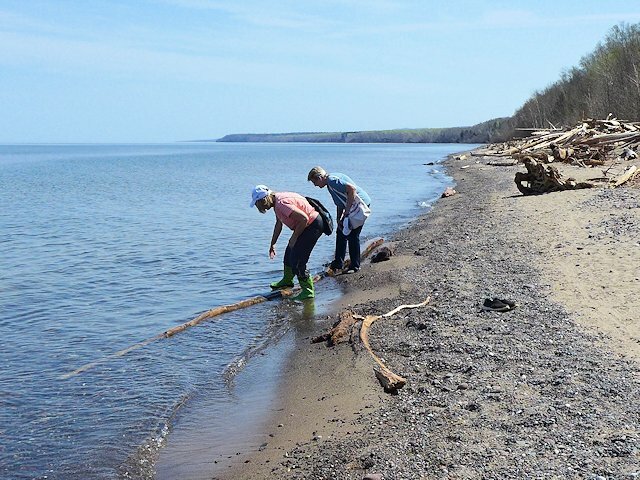 In the pictures below you can see the 2018 winter ice deposited lots of trees on the beach; we hoped some agates were among the deposits! 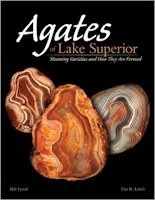 Part 2 - Recognizing Rocks & Agate Collected on Lake Superior Beaches. 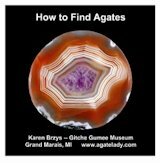 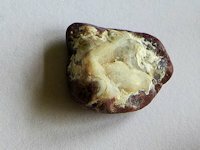 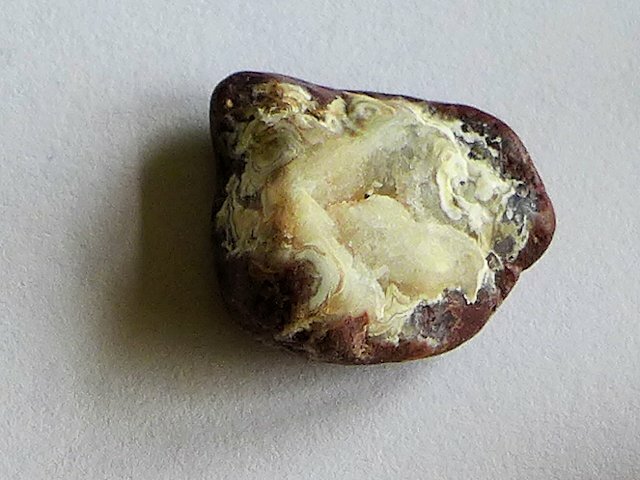 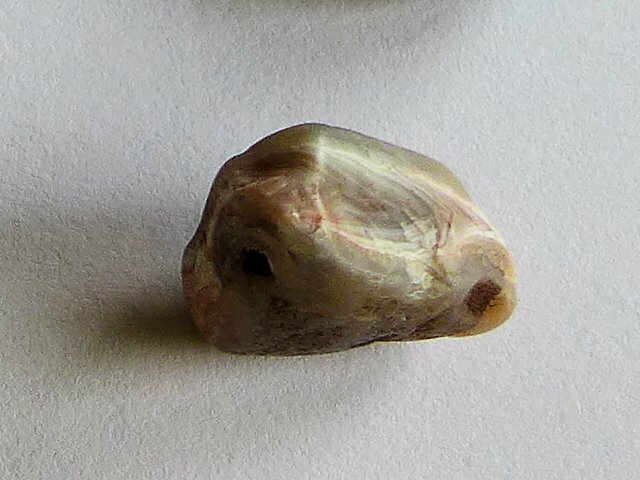 Identifying True Agates from Agate Wanna-Be's. 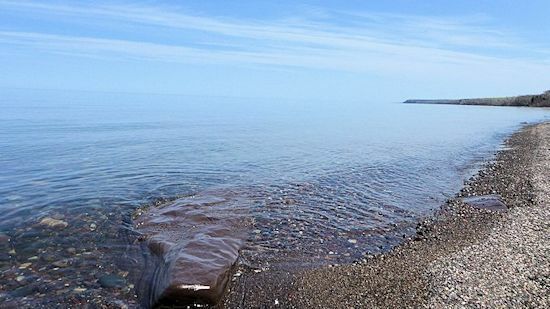 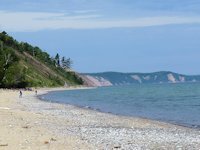 See our Guides to the Best Agate Picking Beaches around Lake Superior.